7 Steps to Choose Your Wedding Theme | Rosette Designs & Co. Wedding themes are everywhere, all over Pinterest. Rustic, Vintage, Whimsical, Elegant, Nautical, and tons of other choices. It can really be overwhelming and confusing, which leads to many couples we met becoming perplexed with the variety of choices. 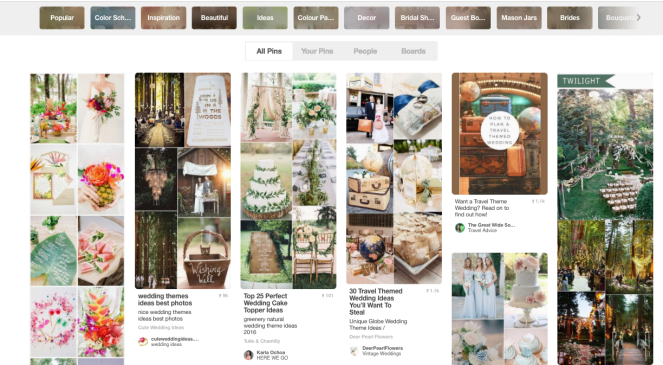 While it’s easy to just pick one popular and pretty theme from Pinterest, it soon becomes the next cookie-cutter wedding theme. 2016 has the most number of Rustic wedding we’ve seen in the 5 years we have been designing weddings. 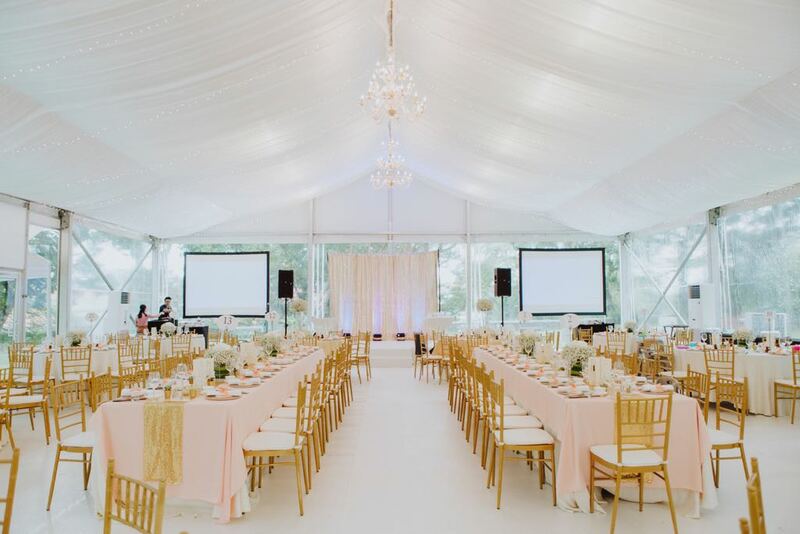 While we understand the beauty of the blush palette, wooden crates with calligraphed wooden signage, it is only suitable for certain venue (albeit outdoor with plenty of natural light). A wedding is a once in a lifetime event (hopefully!) and probably the biggest party (and most expensive single-day investment) that you will do. Make it your own and you will enjoy it for years to come. So how do you decide which theme is for your own wedding? Let us help you by showing the way we help our clients, throughout the years. 1. KNOW YOUR WEDDING OBJECTIVES. We always advocate this fundamental question of why do you have a wedding. While it is a no-brainer to have a wedding after the proposal, in Singapore context, you don’t have to have a wedding to be legally married. Just go down to ROM to register your marriage will do just fine. So it is an important question to explore before you decide on anything. This is your first project together. Is it to celebrate coming together as a couple? Is it to please your parents? Is it your expression of personality & style as a couple? Is it to entertain your friends and family? The purpose of your wedding will be a strong anchor when you face many difficult questions along the way. Who to invite, where is the venue, how much budget you need to allocate for each vendors. What do you want your guests to feel when they enter the hall. Do you want them to feel wow or warmth or sophistication or fun or casual and cozy? Who is the majority of your guests? Are they mostly relatives and older folks or friends or colleagues? Being Asian, we might still need to adhere to our parents’ wish to have a sit-down Chinese dinner. Some of our clients’ combined this Western style long table for their friends, while having round table for their family members. Try to find the balance between other’s expectation and your own. Go back to #1, when you are stuck in between. After you decided on the mood, it is easier to select the venue. If you are going with the cozy and casual mood, you can start looking at restaurants like The White Rabbit, Tanjong Beach Club or outdoor venues like Burkill Hall at Botanical Gardens (they are closed for renovation in early part of 2017) or Raffles House at Fort Canning Park. Then you can decide on the theme that is fit the venue, beach or garden or rustic wedding. If you decide on Hotel Ballroom, you can take cue from the color palette of the room. It’s best to choose a neutral color ballroom then having to cover certain portion because it doesn’t fit your color theme. If your ballroom has certain characteristic like Mirror Wall, you can go with Jazz theme or Glam theme to compliment the venue. Let your venue works for your theme rather than against it. When it’s time to choose the color & theme for your wedding, you can ask this question, is it important for you to present your personality or not? You can refer to #1, if you have difficulty finding the answer. But if your objective is having a good celebration with friends, you might not necessarily choose your favorite color. Maybe colorful theme or carnival will fit the wedding better. That also means – you are a fun loving couple. Your wedding will represent your style and personality. It’s best to choose something that you both agree with and love. The color choice will set the tone for the wedding. Of course, there are special rights reserved for the bride. If you love pink and you dreamed about pink wedding from a young age, then go ahead! Have a pink wedding, anyway. Nobody is going to judge you for being girly on your wedding day (they probably have guessed it anyway)! Armed with the specific mood and feel, start finding inspiration. Resist the temptation to jump start to this stage before completing the others. It’s much easier to find inspiration nowadays than my time back in 2009! What a different world it was without Pinterest & Bridestory! So take hold of the prevalent technology and sign up on Pinterest. Then you can start creating a board in Pinterest. Watch this video on how to do it! Bringing this closer to home, download Bridestory app on your mobile device. It is the most recent craze in Southeast Asia wedding industry, which led them to partner with Style Wedding, Mediacorp. Originated from Indonesia, they are fast becoming strong contender against Pinterest, especially when you enjoy the benefit of meeting the vendors behind the inspiration picture. Find our latest Scandinavian Style Shoot with Bridestory on their blog here. You can also check out Top 10 Singapore Website You Must Know from The Wedding Vow Sg. This is the most fun part (for us! ), after gathering all the images, you can see a pattern forming on your Pinterest Board. Choose a color palette and the accompanying elements like woods, crystals, glass, gold material. This is one of our Inspiration Board for our client, Eugene & Melissa for their rustic wedding at Burkill Hall. If you can use editing software like Adobe Photoshop or Adobe Illustrator, that’s great! If not, just collate everything in Words. You can send this to your wedding vendors for them to understand your wedding style. Once you decided on a theme, stop looking for another one. Even when there’s a new trendy theme emerging, you shouldn’t be swayed by it. After all, this theme is uniquely yours, fitted for your objectives! We recommend getting the theme ready, 6-9 months before your wedding. If you find these steps tedious and you have no time or creative juice for this, talk to us. We have services just for nailing The Look!